First of all, I want to say how sorry I am about what is happening to you. I would have gone along in ignorance of your plight for decades if I had not moved to Regent Park, Fort Mill Township, SC in 2005. That is when the onslaught of “gang stalking’ became quite evident and in my face. This property was paid for by thousands of Christians, and so I know that in the final analysis; it will be a wonderful place where Christians can come and enjoy a very safe and wholesome environment. It will be used (according to many visions, dreams and prophecies) as a place of refuge for Christians and others in the last days. Right now; that is not the case. For many years; I was student and an exceptional student education teacher in Florida, and I had experienced some strange things, but since they were isolated incidents; I just forgave and forgot about these injustices. I now can look back and see that the plan to destroy and block the progress of the Christians, patriots and the most fair minded people was going on for decades. In short, the people of character have been constantly hindered from attaining their potential. Then, after my daughter go married in 1990, I was free to travel and work overseas, as I had always felt led to do my whole life up to that point. I knew I was called to the mission field, but I was waiting on the Lord, and He released me soon after my daughter got married. 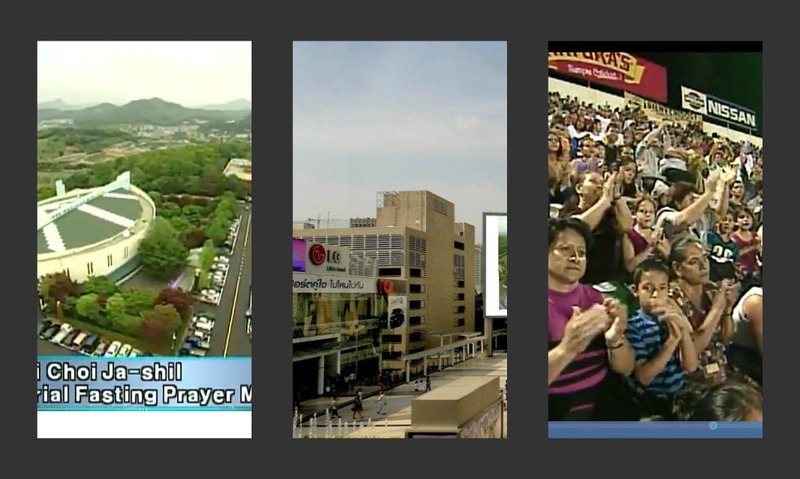 I was led to Seoul, South Korea, where I worked for thirteen years as a tent maker/missionary. I traveled extensively over those years as that was a desire of my heart. Beginning in 1996, I prayed for seven years about when I was to come home to the states, and then I was led to come back in 2003 to help my parents during their final years. After that time, in 2005; I moved to Regent Park, Fort Mill, SC, and that is when the plot thickened, and it became quite clear what was happening in my beloved country, and I realized it was also going on in most every other country as well. The area where I moved was in the Charlotte, NC area, and this area used to have the most churches of any other city in the US. Because of that, I believe it was targeted; similar to why many “targeted individuals” are targeted because of their strong ethics, sense of justice, and their inability to conform to the status quo when it is corrupt. I began to see what was going on in this area as every day; I was prayed against, cursed, harassed, vandalized, wiretapped, my computers and appliances hacked, destroyed, and often the perpetrators tried to run me off of the road into oncoming traffic, and the list goes on and on. As all of the targeted individuals know; the perpetrators do the same or very similar things to all of their targets. I now know almost everything about this crime as I have read all of the books, Internet materials, but more importantly I have experienced it all first hand. I realize that I would have never guessed that these types of illegal activities could go on in America for all these years. I understand how the American majority are often times oblivious to what is going on secretly, covertly, and the things that are the darkness are whitewashed to look as if they were good, decent, Christian and/or noble. It is all a delusion, but unless it happens to the individual; it is very difficult to imagine the evil that lurks in the shadows all around us. The infiltrators are placed in strategic locations to attempt to control every facet of our society. They are promised things that can never really happen for many reasons, but the perpetrators believe these false promises. They are promised that when they destroy the targeted individuals, and control is gained in this country; then they will be able to just take over the property and belongings of those who not part of their community groups. They are being lied to as they will never be given anything. The handlers spread disinformation about the gang stalking everywhere. They tell people that it is being done by the government. That is not true. It is not being done by the real, legitimate government, but it is being engineered by an illegal, secret shadow government that is hidden. These people pull the strings, and they send out propaganda to protect themselves. The handlers and those pulling the strings are actually subversives and enemies of our country. Their goal is to destroy our country and gain control of our country, and to take away its power to do good for the world. They want to tear down our country in order to gain control of the world. It is very presumptuous for even these people to believe that they can succeed in such an evil plan. They will not succeed in America because the true American people are waking up. They get fringe groups like covens, cults, criminal groups, drug addicts, and people who need any type of work they can get to accomplish their insidious objectives. These perpetrators are being lied to as well, and they think that they will have a big pay off in the end, but instead they will have a rude awakening. The only people who are gaining out of the work of the perpetrators are the people who are their handlers and those who are holding the puppet strings. They are getting rich and gaining power by leading these perpetrators into these criminal activities, which will then be used to blackmail them, bully them, and eventually the perpetrators will more than likely be eliminated as in Germany (the brown shirts). I know that America’s cornerstone and foundation is based on our Christian heritage, our great and fair constitution and a people who were willing to die to keep their freedoms. This is the America that will rise up, and I pray that all Americans will turn to the Living God and call out to Jesus Christ. I pray that we will humble ourselves before Him, pray, seek His face and turn from our wicked ways, and then He “will” hear from heaven, forgive our sins and heal our land. Please pray also, that the targeted individuals will have relief from all of their persecution soon, and that everything that they have had stolen from them will be restored. Truth and justice always prevail, and that is why I know that Regent Park will be used for God’s glory and that America will repent, and the Lord will heal our land, and He will give us a new and greater beginning. May His Kingdom come, and His will be done in Regent Park and in America, and flowing out throughout the world. Please pray that we will have a tremendous repentance revival in America and throughout the world. It is our greatest hope for our future and the future of our posterity. I lived for many years below a country that broadcasted propaganda 24/7 through loud speakers. I used to visit the Second ID in South Korea, and I looked over into North Korea where freedom had been totally eradicated. It was a dark, grey country filled with sorrow, despair that had been taken over by a totalitarian government. I now find the same process going on in The US, but here it is covert, insidious, and it is growing. The more the true loyal citizens are proclaiming the truth; the more the subversives are spreading their propaganda. Countless law-abiding citizens are being harassed, abused, wire tapped, stalked, and kept under surveillance illegally. However, the propaganda that is spread is that it is legal, and that it is being done by the government. They are blaming all of the “gang stalking” on all branches of the government, law enforcement, the CIA, and the list goes on and on. It seems like so-call community policing groups, community organizers, and other local cults/covens are actually initiating the gang stalking, but they are blaming it on everyone else, i.e. “The Government”. They seem to have quite a lucrative racket going on using deceit and deception. I can assure you that this type of illegal activity is not approved of by our true representatives in the government. There seems to be a rogue government that operates in secret in the US, but if it were the real government; it would not have to operate covertly. The gang stalkers would not have to hide out in neighbourhood houses, attics and behind the walls of local businesses, and other obscure locations. The true law enforcement officers are even being lied to about all of this. The truth is that this country is being assaulted by criminal subversives, and they are deceiving people into thinking that what they are doing is condoned by the Government and that it is legal. There is no law in America that allows for The Government to harass, wire tap, break into the homes, do illegal stalking, kill the pets, etc. of innocent law-abiding citizens of the US. These lies are spread as if they were facts, and often there are forged, counterfeited documents that they display to back up their erroneous disinformation about individuals, laws and all the people involved. They are counting on the fact that it is very difficult to check into all that they are reporting. They say that they are authorized by the nebulous “Government”, and unfortunately, many people do not bother to check up on these imposters. This type of subversion against the best and brightest in the USA is going on everyday, and it is going on all over this country. Even the web sites that give information about “gang stalking” are riddled with those who are putting out erroneous claims to muddy the waters and to cause confusion. These tactics in America are copies of what has gone on in Mainland China, Russia and Germany. First the subversion, and then the people are taken over by a tyrannical regime. Fear, ;intimidation, infiltrations, and deception are all used to subvert a whole society. I am very thankful to see that more and more Americans are waking up to what is happening. They are coming together, and they are working together to take back our beloved country. May the people of America turn back to our foundations: the Constitution, our Heritage, and The Lord. These are the basics that made this country great, and may we find our way again. I pray that America will become even more righteous, free and just than ever before. May freedom ring in America again. I pray all these things in the mighty Name that is above all names, Jesus Christ and for His glory, Amen and amen. In 1979 through 1981, I was living in Gainesville, FL getting my Master’s Degree. It was during the Apostolic or Discipleship Movement in the Body of Christ. I became acquainted with their methods and their deceptions, and praise The Lord, the main leaders repented of their involvement years after that period. However, some of the leaders had made great sums of money off of the movement by using the labor of unsuspecting young people to build up their respective empires. One group in Gainesville, FL that I was familiar with had bought some delapidated, old large homes at very cheap prices. They then started their ministry by using young people who knew nothing about Christianity and The Word of God to be their personal servants. The young people were given free bunk beds to live in and very cheap food, and the young people totally renovated these old homes. They sanded down all of the wood, painted, applied polyurathane to the floors. They increased the value of the properties over and over again without receiving any compensation at all. The people that had put themselves at the top of the pyramid of power became very wealthy, and the young people were left with false doctrines and nothing to show for their years of work. They were taught that they could not question the “authority” in their respective churches, ministries, and groups. However, according to The Lord Jesus, we are to beware of the false apostles, false prophets, the wolves in sheep’s clothing, and we are to be very wary of those who come as an angel of light but inwardly they are wavening wolves. The Lord was constantly warning us about the hypocritical leaders who would lead us to the slaughter without a second thought, all to build themselves up higher and higher. These reprobates were described by our precious Lord Jesus as, “whitewashed sepulchres” that were very clean and acceptable looking from the outside, but inwardly they were filthy, and they were like dead men’s bones. The Lord warned us over and over to beware of those who would use us, abuse us and lead us to the slaughter in the end. This false doctrine of the Apostolic Movement which is just a revamp of the old Discipleship Movement, has risen up its ugly head today. However, today these people do not want to just build up their own little kingdoms, as in the former days, but they actually want to take over the world. Please do not be deceived. Get into the Word of God, and learn that The Lord does not want a few self-appointed false apostles, prophets, teachers and their followers to be taking over the world and lording it over the sheep using the world system, but our Kingdom is not of this world. Our Kingdom can only come through prayer, and the almighty power of God. Jesus prayed, “Thy Kingdom come; Thy will be done in earth as it is in heaven”. That is how we bring the Kingdom of God into the earth; it is through prayer, our obedience to The Lord, and The power of The Holy Spirit moving through His humble, surrendered people who have relinguished their lives to Him; not to a group of self-appointed leaders. Young people and other unsuspecting people are being deceived into thinking that this is Christian and Biblical. This is not Biblical, and it is a terrible distortion of the Biblical mandate to be led by The Holy Spirit; we are to overcome the world; not take over the world. We are to be in the world but not of the world. These people are distorting the Word of God for their own selfish purposes, greed and to gain as much power as they can using unsuspecting and oftentimes well-meaning young people and others. These false apostles/prophets are very dangerous because they use the Name of The Lord Jesus Christ to manipulate the people and deceive them. Please protect all of the young people and the unsuspecting Christians from these deceitful ministries. Please deliver those that have already become deceived, and help them to know the Truth. Please Lord, give all of your people a tremendous love for the truth so that we will not be deceived in these last days. Help all of us to turn to You with all of our hearts, and to study the Word of God for ourselves and not to depend on the man-made doctrines and messages of charlatans. Wake up your church today, and save Thy people Oh Lord! Please bring your people together in love and unity, that we will become the House of Prayer for all nations and all people. We ask all these things in the Name above every name in heaven and earth, The almighty Name of Jesus Christ and all for His glory! Amen. The Lord bless all of you, and may He keep you and yours in His loving arms both today and always. As a person that has been gang stalked since moving to Regent Park, Fort Mill, SC in 2005; I have learned there is a tremendous amount of disinformation on the Internet. It seems that for every fact; there is a counterfeit contradiction with erroneous information. I read online that the illegal wiretapping, cyber stalking, illegal surveillance, and all of the illegal harassment involved in gang stalking does not violate the law of the land. This is not true. The law concerning terrorism, and the investigation of anyone suspected of it is clearly stated in the law. Any person that is suspected of being a terrorist must have a warrant issued against that said person in order for them to be wiretapped, or any other invasion of their privacy by the government or anyone else. These gang stalkers do not represent the true government of The USA, even though they tell everyone that they are with the government. Don’t believe it. Without question, trespassing, harassment, torture, etc. of innocent USA citizens is prohibited by our laws and constitution. Please do not believe the disinformation that our real laws condone gang stalking of innocent American citizens. The perpetrators are putting this disinformation out to muddy the waters of the truth, and to bring confusion to all involved. They are using lies, infiltration, bullying, intimadation, the Internet, and many other methods to try and gain control of our government illegally. Remember that wiretapping, cyber stalking, all stalking of any kind, all surveillance, all trespassing, robbery, defacement of private property, neighborhood terrorism, vandalism, attempted murder, killing of pets, and all of the other tactics are illegal. Do not be deceived by the disinformation online; it is not true, and it will all come out publicly, as justice will be served in The United States of America. Actually, we the people of the United States of America are the true government, and only those who represent us are the legitimate government representatives. There are many mingled among us that would like for us to think that they have gained power, but the vast majority of Americans are decent, law-abiding citizens who will not allow the subversive, traitors of our country to gain control. May God bless America, and may it become a righteous nation again, and may we turn to the Living God and regain our strength and power to overcome these insidious schemes of the enemy of our country.